When we think of Grammy and pickled fruit, usually it's all about the watermelon rind. 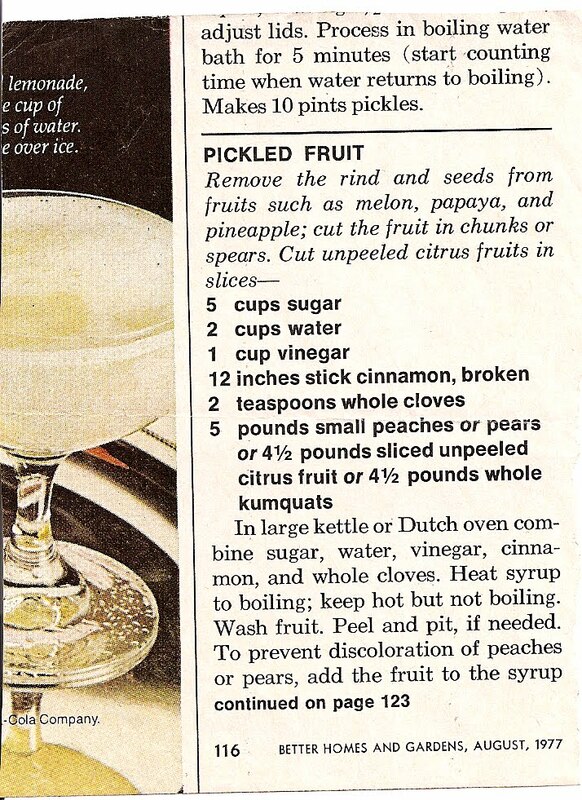 According to this recipe, though, you can pickle just about everything. -In a large Dutch oven combine sugar, water, vinegar, cinnamon and cloves. -Heat until boiling, reduce heat.